Inspiration is what makes our industry tick, the inspiration to do things differently, to make sure this year’s event looks better than the one before. We are constantly seeking ideas and inspiration and that’s why we went to EuroShop 2017, and we were not disappointed. EuroShop is heavily influenced by the retail industry, and it takes a lot from the design and creative trends from this market; these trends often percolate through to the events and exhibitions industry. A good example of this is the use of tensioned printed fabric that is lit from the back, we saw this emerge four years ago at EuroShop and we have evolved it into our product – Brightbox – for use in conferences and exhibitions. This year there seemed to be a move towards wood in all its forms, used in the raw and rough hewn through to bleached and polished, but all adding a natural look to the event. More and more exhibitors were incorporating their own products into the fabric of the stands rather than them being display items within the stand itself. However, the most inspiring thing about the show is the sheer innovation on display. Every time we turned a corner or crossed into a new aisle there was something that make us stand and stare, shocked us, amused us or gave us raft of new ideas for products and services that we can offer to our clients. As we wandered through the halls we wondered why there is so much innovative and creative work on display, and why we don’t see more of this at exhibitions in the UK. The dawning realisation was that perhaps it’s the four year cycle. After all, the Olympics are an inspirational event and occur on a four year cycle, as do the football and rugby world cup tournaments. It would allow exhibitors to have time to think out their strategy, to spread the cost over four budget periods, and would allow for a greater spend overall. They may be more inclined to throw the kitchen sink at a big, exciting show every four years rather than taking mid sized hit every year. It probably explains why so many of the stands at EuroShop were breathtaking, clever and engaging, something we don’t seem able to emulate in the UK. Which is ridiculous when we have some of the most creative talent, the exhibition stands designed and built in the UK for overseas shows look amazing, so where’s the UK’s equivalent of EuroShop where we can show off our talents? Yes we have had a dalliance with The Exhibiting Show, and there is International Confex. Sadly the former disappeared into Marketing Week Live and has lost its identity and International Confex happens at the busiest time of the year for anyone involved in supplying the exhibition industry, which often means resources are being deployed elsewhere in order to deliver customer stands. Is there an organiser with the long term vision to grow a UK based version of EuroShop? Maybe our exit from the European Union will create the impetus for one of the more forward thinking organisers to plan and launch a showcase for the amazing talent we have. 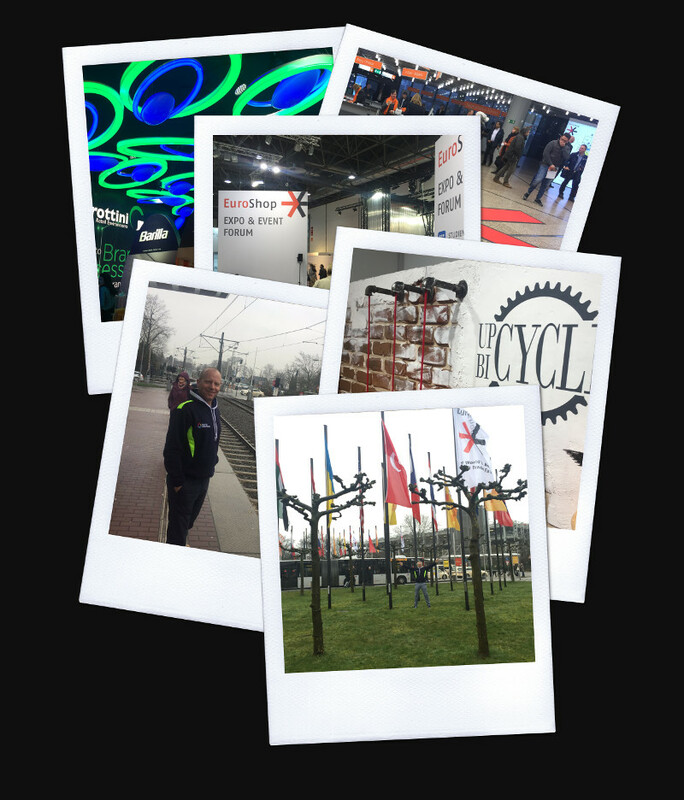 Until then we will keep heading to EuroShop and continue to be in awe of the creative ideas on display. This entry was posted in Events, Exhibitions. Bookmark the permalink.